The Wizard Island overlook along the Going to the Sun Road in Glacier National Park is probably the most famous photography spots in the Park. 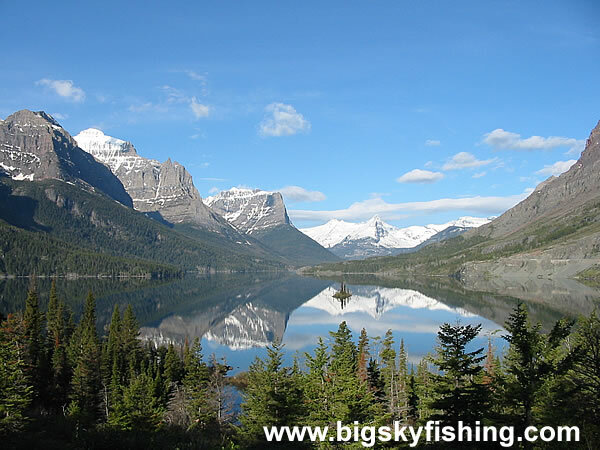 From here, the views of St. Mary Lake, the Continental Divide and the towering peaks that surround the lake are spectacular. What makes this photo rather unique are the calm waters of the lake that allow the mountains to reflect perfectly. Normally, the wind on the eastern side of Glacier National Park creates whitecaps...and more.